B & H Engineering, P.C. 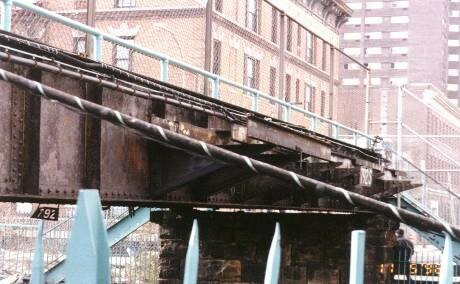 has furnished construction inspection services, as a prime consultant, to the New York City Department of Transportation for the Replacement of the East 178th Street Pedestrian Bridge superstructure and Rehabilitation of sub structure (abutments, wing walls and retaining walls). The bridge spans the MTA/Metro North Commuter Railroad and is located in the Bronx, New York. The construction inspection services consisted of performing field inspection; monitoring work zone traffic control and safety; coordination with MTA/Metro North, NYCDOT agencies, other contractors, and utility companies; reviewing contractor's schedule, equipment, and staffing; monitoring contractor's EEO requirements; conducting wage rate interviews; processing payments and change orders; and maintaining office records. The project involved replacement of a pedestrian bridge over Metro North Commuter Railroad tracks. The work included demolition and removal of concrete deck and steel structure, rehabilitation to abutments, wing walls, and retaining walls; new structural steel, reinforced concrete deck, railings, protective fencing, stairs, and handicapped access ramp; new lighting, and work zone traffic control on the local street.